Of course, you don’t need a reservation at a nice restaurant to have a good Valentine’s Day date, but it certainly helps! Read on if you’re looking for a special spot celebrate this Valentine’s Day. Celebrate Valentine’s Day early with a hands-on, cocktail making session with the Doctor. Dr. Fern’s Gin Parlour is hosting a Love Potion Masterclass, where you can indulge in drinkable prescriptions. You can even upgrade your appointment to receive a Valentine’s Prescription Gin Kit, which includes a bottle of limited Gibson Edition Copperhead Gin, Fever-Tree Tonic, botanicals and tools. Dr. Fern’s Gin Parlour Love Potion Masterclass is on 16, February (Saturday) from 5-7pm. It is HK$550 per person for the masterclass, or HK$800 for the Valentine’s Prescription Gin Kit. Tickets are limited and can be found here. What could be more romantic than a date at one of the city’s chicest, modern steakhouses? 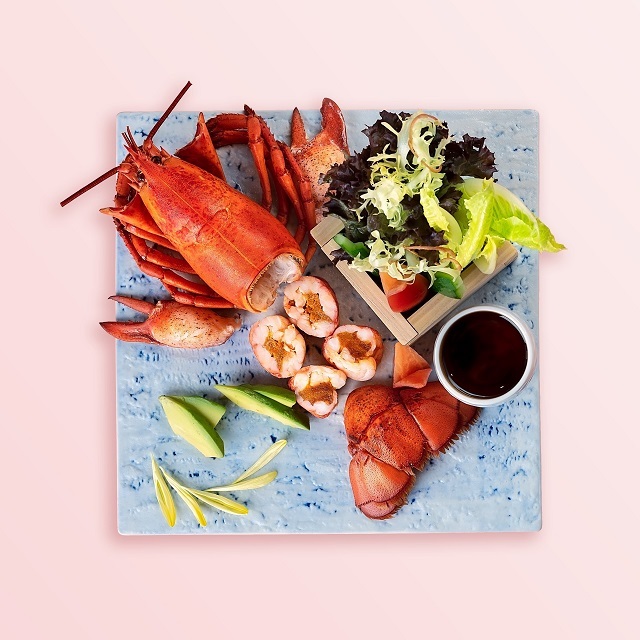 The team at Porterhouse has prepared a beautiful Valentines Menu, which includes a welcome Champagne drink, smoked Scottish salmon, seared Hokkaido scallops and grilled Tornedoes Rossini just to name a few of the stellar dishes. Porterhouse’s Valentines Menu is available 14 February, 2019. The dinner is HK$1888 for two people. Travel back to the colonial era this Valentine’s Day at The Envoy. They’ve prepared a set dinner menu for two, including a glass of bubbles upon arrival. The four-course spread has options to suit all tastes, like pan-seared Chilean seabass, braised New Zealand spiced lamb rump and smoked burrata and traditional terrine with forest mushroom. Book early to snag a spot! To celebrate the most romantic night of the year, FUMI has created an elaborate eight-course menu of contemporary Japanese dishes with a western twist. Each one is made with the most premium ingredients, like seafood flown in directly from Hokkaido. The meal starts with a delicate lobster and sea urchin salad, followed by a clear clam soup “Ochazuke” style. Of course, there’s a selection of sashimi, steamed fish, Wagyu beef cheek and more. It ends on a sweetnote with sakura ice cream and sparkling sake. Guests can wine, dine and romance their beloved with a rendezvous at Carbone. An enticing four-course menu features celebrated favourites such as Carpaccio Piemontese, Lobster Ravioli, Spicy Rigatoni Vodka and of course, Veal Parmesan. A selection of indulgent desserts, like the classic Carrot Cake served with candied walnuts and ginger ice cream, or the sinfully rich Chocolate Blackout Cake, with cherry mascarpone mousse and Nutella ice cream, make for an irresistible ending. The city’s favourite Argentine steakhouse is doing a double-celebration this year. Love-birds can head in early for a romantic menu of beautiful seafood, melty Provoleta and a perfectly grilled General Pico Black Angus ribeye to share. While those on the prowl can visit after 10pm for an Anti-Valentine celebration. A very special Prince-themed Buenos Aires Rock Club, complete with DJ, will keep people dancing all night long. This basement-favourite is throwing two unique parties this year, starting with an evening for couples and ending in a party for singles. Earlier in the evening, couples can feast on tableside guacamole, spicy ribeye and spicy pork belly tostadas, while sipping on stunning cocktails like The Birds and the Bee’s, made with Absolut Elyx and Plymouth Gin. After 10pm, singles takeover for a mixer of sorts. Ladies are given cocktails while gents are giving garnishes, and then you can spend the evening try to find your perfect match. The Los Sotano dinner menu starts at HK$990 for two. Some couples prefer to keep things casual, and that’s where Cali-Mex Bar and Grill comes in. They’ve created a fusion set menu to share, serving up slightly upscale Mexican food like sizzling garlic chili prawns and Mexican surf and turf. It also includes two Margaritas or glasses of cava to help the celebrations kick off. The Cali-Mex Bar and Grill set menu is HK$788 for two people and is available at all of their 11 locations around the city. If you want dinner with a view, reserve a spot at CÉ LA VI’s Valentine’s Day Tasting Menu. The six-course spread can be enjoyed alongside the city’s beautiful skyline. The kitchen has create a mix of exciting dishes, like ponzu marinated Hamachi, clear mushroom soup, grilled Wagyu beef and a stunning strawberry mille-feuille. Bonus: you can book a table for two, three or even four people, and they have a designated vegetarian menu as well. The CÉ LA VI Valentine’s Day Tasting menu starts at HK$1,488 for two people, and goes up to HK$2,488 for four people. It is available 14 – 17 February, 2019. On 14 February, they will only be serving the Valentine's menu, from 15 - 17, guests have the option of the Valentine's Day set menu or an a la carte menu. For a night as fun and vibrant as you two are, head to Chaiwala. The Valentine’s Day menu features a number of classics, like their signature pani puri with jal jeera and the tandoor plate brought straight from their in-house tandoor oven. And of course, you couldn’t head to Chaiwala without their famous old Delhi buttery chicken curry served with naan and rice. They’ll also feature a special The Lover’s cocktail, a seasonal twist on a classic Gin & Tonic. The Chaiwala Valentine’s Day menu is HK$520 per person, and the cocktail is HK$120. Treat your special someone to a meal they won’t forget at Kyoto Joe, one of our favourite Japanese spots in Lan Kwai Fong. For Valentine’s Day, they’ve prepared a seven-course ‘Taste of Romance’ menu, with stunning sashimi, sushi, homemade udon and Wagyu robatayaki. We love this option because it’s decadent, but not overly heavy so you won’t fall into a food coma. The Kyoto Joe Taste of Romance menu is HK$1,160 per couple and is subject to a 10% service charge. Reservations can be booked here. Impress your better half by treating them to a meal of gourmet indulgences at Tokio Joe, where they serve traditional Japanese fare with a contemporary twist, and some of the best hospitality in town. For the most romantic night of the year, they’ve created an exclusive Lovers’ Set, seven courses of super fresh, perfectly prepared deliciousness. Expect dishes like toro usu salad, oysters prepared three ways, and sushi. Larger dishes include a seafood hot pot, udon and beef usu yaki served with butter sauce. It finishes with a light lemon sherbert that’s the perfect amount of sweet and sour. The Tokio Joe Lovers’ Set is HK$1,400 per couple and is subject to a 10% service charge. Reservations can be booked here. Lan Kwai Fong has teamed up with ELĒKRŎN for a deliciously exclusive offer. Enjoy your special night at one of the five Lan Kwai Fong favourites: Beef & Liberty, Fumi, Kyoto Joe, Porterhouse or Tokio Joe, with spending over HK$2,000, you can get a pair of ELĒKRŎN tickets for free in the California Tower lobby to watch the most electrifying stunt show with your loved one! All photos are the rights of their respective owners.